For food writer Erin Byers Murray, grits had always been one of those basic, bland Southern table necessities―something to stick to your ribs or dollop the butter and salt onto. But after hearing a famous chef wax poetic about the terroir of grits, her whole view changed. Suddenly the boring side dish of her youth held importance, nuance, and flavor. 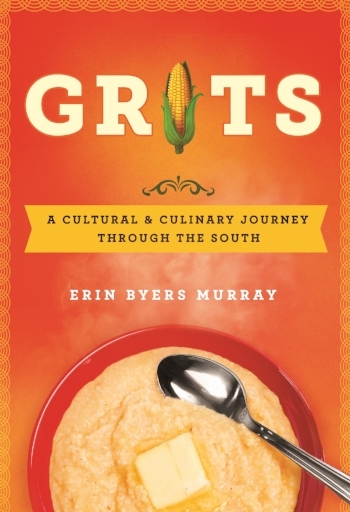 She decided to do some digging to better understand the fascinating and evolving role of grits in Southern cuisine and culture as well as her own Southern identity. In every cook’s kitchen, there is a treasured tool: a workhorse utensil, go-to gadget, or a family heirloom with its own background story and the lofty standing of being a cook’s most-prized possession. These beloved items say as much about the cook as their style of cooking. They tell stories about a cook’s past and about the moments that led them to where they are today. For some, it might be a spoon inherited from a grandmother’s silver set, which they use to taste every sauce. Or it could be a spaetzle maker picked up during a stage in Germany that’s been used during every job since. Whether it’s a colander, cake stand, or a grandfather’s iron skillet, every chef has a piece in their arsenal that gives a glimpse into their cooking history, their philosophy, and their technique. In the enlightening kitchen compilation A Colander, Cake Stand, and My Grandfather’s Iron Skillet, author Erin Byers Murray collects stories from 37 top chefs about their favorite kitchen utensil. The stories, told in the chef’s own words, include the tale of how they came to acquire it, the details that make it so essential, and insight into why―and when―they rely on it. Along with each story, the chef provides a recipe utilizing the particular tool or something similar, so that home cooks can try their hand at a professional chef’s approach. Featured in A Colander, Cake Stand, and My Grandfather's Iron Skillet are some of today's most respected chefs including, among others, Jody Adams, Chris Kimball, Anne Willan, Andrew Zimmern, Norman Van Aken, Linton Hopkins, Joanne Chang, Slade Rushing, Jeremy Sewall, Ken Oringer, Jonathan Benno, Rob Newton, Chris Shepherd, Steven Satterfield, Virginia Willis, Ford Fry, and Kevin Gillespie. In 2015, The New England Kitchen was nominated for a James Beard Book Award in the American Cooking category. "Shucked tells it like it is: the frigid winter days on the water with hands like popsicles, the backbreaking work, the anxiety of nurturing thousands of dollars’ worth of oyster seed, the hard-partying nights. Erin Byers Murray captures the seasonal rhythms of the New England coast and the romance of one exceptional company’s efforts to coax great food from the sea." In this engrossing and very personal account, a young woman from Boston ditches her pampered city girl lifestyle and convinces the rowdy crew at Island Creek Oysters in Duxbury, Massachusetts, to let a completely unprepared, aquaculture-illiterate food and lifestyle writer work for them for 18 months to learn the business of oysters. The result is Shucked: part love letter, part memoir (complete with recipes), and part documentary about the world’s most beloved bivalves. It is an in-depth look at the work that goes into getting oysters from farm to table, and shows Erin’s full-circle journey through the modern day oyster farming process. It also tells a dynamic story about the people who grow our food, and the cutting-edge community of weathered New England oyster farmers who are defying convention and looking ahead. For a look behind Erin's journey, visit her blog Shucked.